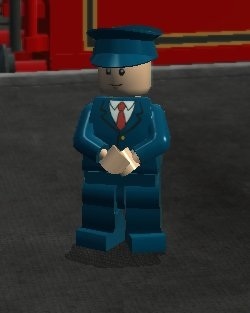 Station Guard is a minifigure who appears in LEGO Harry Potter: Years 1-4 and LEGO Harry Potter: Years 5-7. In the Harry Potter storyline, he was employed at King's Cross Station, London, during at least the 1990s through the 2000s. In the handheld versions of both video games, he is a non-playable character. This page was last edited on 10 January 2016, at 00:40.